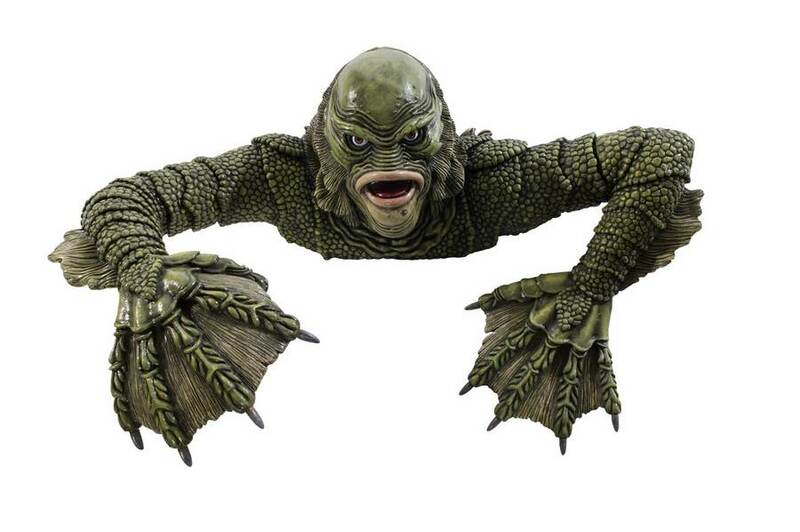 Universal Monsters Creature from the Black Lagoon Grave Walker is a phenomenal quality prop. The Creature looks like he's crawling out of the grave for you! Made of rigid foam, this life-size prop looks incredible. The eyes look so realistic! Add a famous monster to your haunt scene this year - you'll be glad you did! Size is approximately 32'' x 23'' x 11''. Licensed by Universal Studios.